While not nearly as nice as their earlier “Match Your Miles” promo, Cap One has just sweetened its signup bonus on its Venture Rewards credit card, from 10,000 miles to 25,000 miles, good for $250 towards travel. You’ll earn your 25,000 bonus miles once you spend $1,000 within the first 3 months of opening your account. As is standard for the Venture Rewards card, you’ll earn 2% back on all purchases that can only be redeemed towards travel. 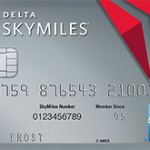 If you choose to instead redeem your miles for cash, they’ll instead be redeemed at a 1% reward rate. Another nice feature of the card is that, like all Cap One cards, there are no foreign transaction fees. The card does carry a $59 annual fee, but it’s waived for the first year. For more info, or to apply, see capitaloneventure.com.